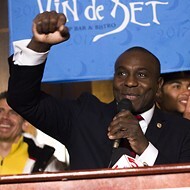 Lewis Reed celebrates his victory at Vin de Set. 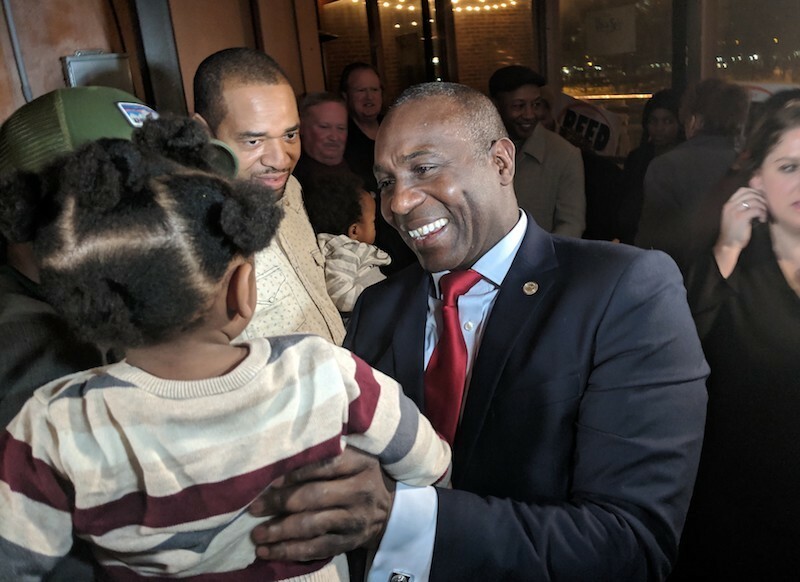 Board President Lewis Reed has won re-election, barely holding off state Sen. Jamilah Nasheed and Alderwoman Megan Ellyia Green, according to unofficial results posted by the Board of Elections. The Democratic Party's stronghold on the city virtually guarantees the winner of Tuesday night's primary will go on be board president. Reed has held the seat for twelve years, ever since ousting then-board president Jim Shrewsbury in 2007. He has run twice for mayor and lost twice, most recently to current Mayor Lyda Krewson in the last election. But his role as board president was never seriously threatened until this year. Tension built throughout the night as early, unofficial vote totals showed Reed and Nasheed in a dead heat and Green still in range. The city's web page then promptly crashed, leaving political watchers refreshing an out-of-commission site for more than an hour. The Board of Elections eventually started posting updates on Facebook as returns came in. When the final count finally arrived around 10 p.m., the results had Reed winning with 35 percent of the vote, topping Nasheed by just over 1,400 votes. Green then finished just 144 votes behind Nasheed. Again, the totals are unofficial. 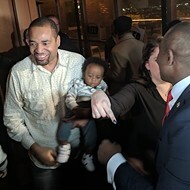 Reed and Green, who were once friendly, have clashed bitterly on the board, but Reed and Nasheed seemed to seize on each other early in the campaign as the chief rivals. 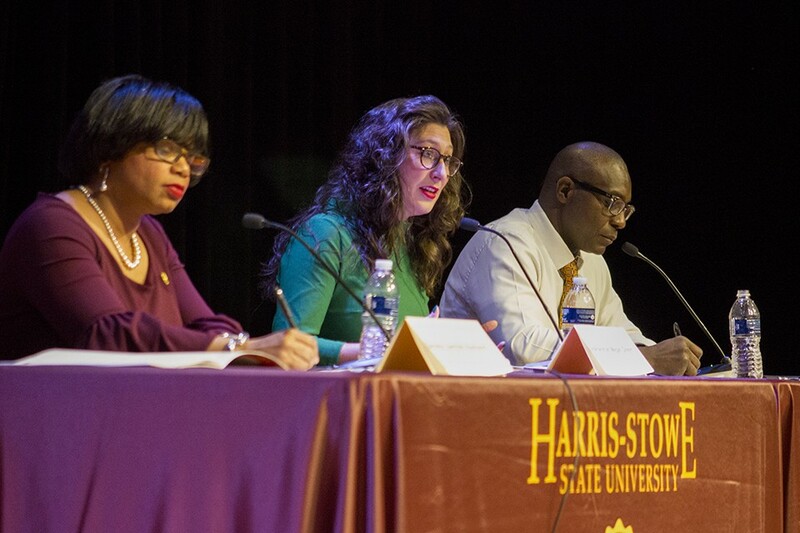 At a January 26 debate at Harris-Stowe State University, the two unloaded a playground's worth of insults. 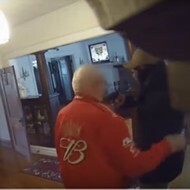 Reed described the longtime state legislator as "Double Agent Nasheed" and told the audience she had been "one of the worst people in terms of advancing our community that we have ever seen." 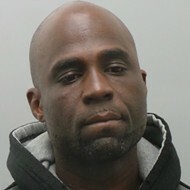 Nasheed responded that the city has slid further and further under the leadership of "Lyin' Lewis." 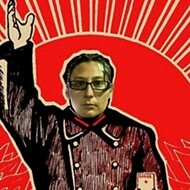 There was a lot at stake in this election. The board president will play a key role in major decisions in the city's future, including whether to privatize St. Louis Lambert International Airport, support a city-county merger and back yet another proposal for a new soccer stadium. 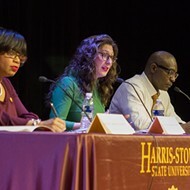 Jamilah Nasheed, left, and Megan Ellyia Green challenged Lewis Reed. As board president, Reed voted to hire a team of airport privatization consultants funded by billionaire philanthropist and political mega-donor Rex Sinquefield. And while he hasn't been the cheerleader for privatization that he has been for other controversial projects — namely, the soccer stadium proposal — he's far warmer to the idea than either of his rivals. Green was a hard "no" on privatization, and Nasheed also signed a pledge to oppose the deal. Green, one of the city's young progressives, staked out a position to the far left of Reed. 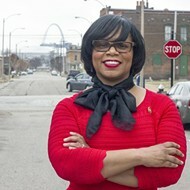 She has fought against the city's medium security jail, popularly known as the "Workhouse," and she has proposed legislation to raise wages and decriminalize marijuana. 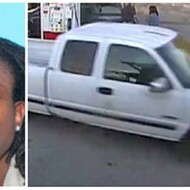 She is also one of about two dozen people suing the city and its police for their aggressive response to demonstrations in 2017 following the acquittal of ex-cop Jason Stockley on murder charges. Nasheed, endorsed by influential progressives such as Treasurer Tishaura Jones and state Rep. Bruce Franks, had originally planned to run for mayor during the last election, but dropped out in favor of supporting Jones. She proved herself a shrewd and scrappy politician during her more than a dozen years in Jefferson City, first as a state representative and, since 2012, as a senator. Reed's establishment positions — and links to Sinquefield — made him a target of progressives, but any voters aiming solely to knock him out had to guess whether Nasheed or Green had the best shot. Meanwhile, Reed picked up endorsements from Krewson and the St. Louis Post-Dispatch. The president will also have to navigate the minefield that will be the reduction of the city's wards from 28 to fourteen by 2020. The measure was previously approved by voters, but redrawing the lines figures to be a Battle Royale. Some north city aldermen have already begun floating the idea of a re-vote, arguing the reduction will drain influence of black neighborhoods. It looks like Reed will be the one tasked with sorting it out.